This review of Center Parcs Whinfell is in two parts. The other can be found here. 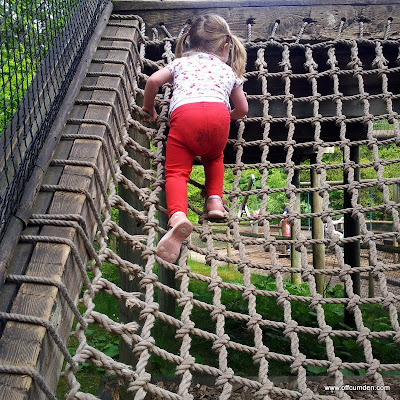 As a Center Parcs Blogger, we got to go to Center Parcs for a week to review the accommodation, food and activities. Obviously I was looking forward to this immensely. We booked our break back in October to visit Whinfell Forest in Cumbria. I had never been to Center Parcs before, but had always wanted to. The breaks are not cheap, but if you book in advance, or wing it till the the last possible moment, you could grab a bargain! There is so much to write about that I have decided to split this review into two. The first covering the lodges, facilities, shops and staff and the second covering the activities, spa and food. So, here goes! Originally our plan had been to get to Whinfell early and spend the morning there. 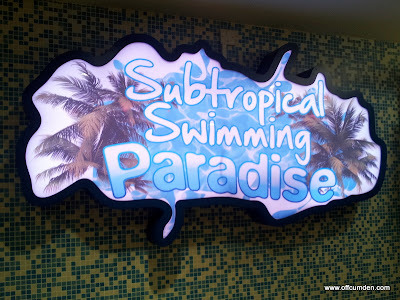 You can use the subtropical swimming paradise from 2pm on arrival day, so we had envisaged doing just that. However, we ended up leaving a bit late, so that didn't happen. We arrived at 2.30pm and queued to get in. The queues were nowhere near as bad as I had imagined and we were in our lodge for about 3.05pm. It gave us time to settle in and then head out for the swimming pool! 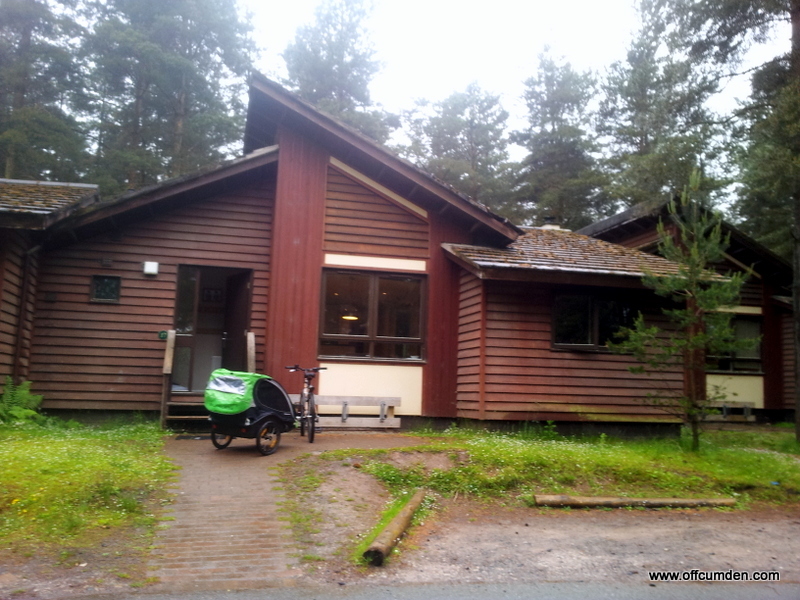 We stayed in a three-bedroom Woodland Lodge. It was clean and, although fairly basic, it met our every need for our time there. 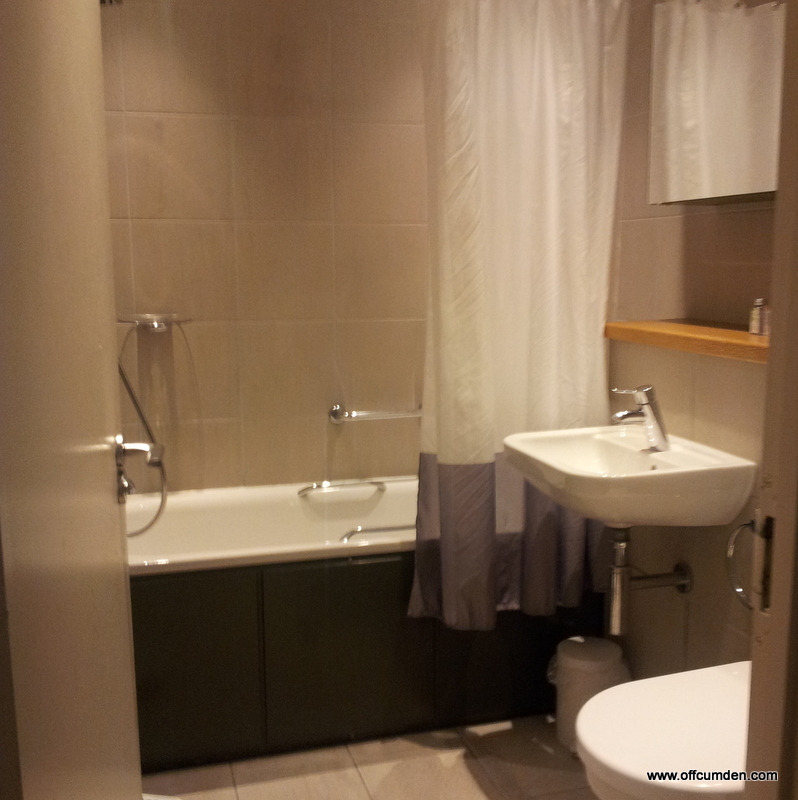 It was well designed and the layout really suited us. We fitted three adults and two children quite comfortably and in the evenings my mum and grandma came over for dinner and the place didn't seem packed. 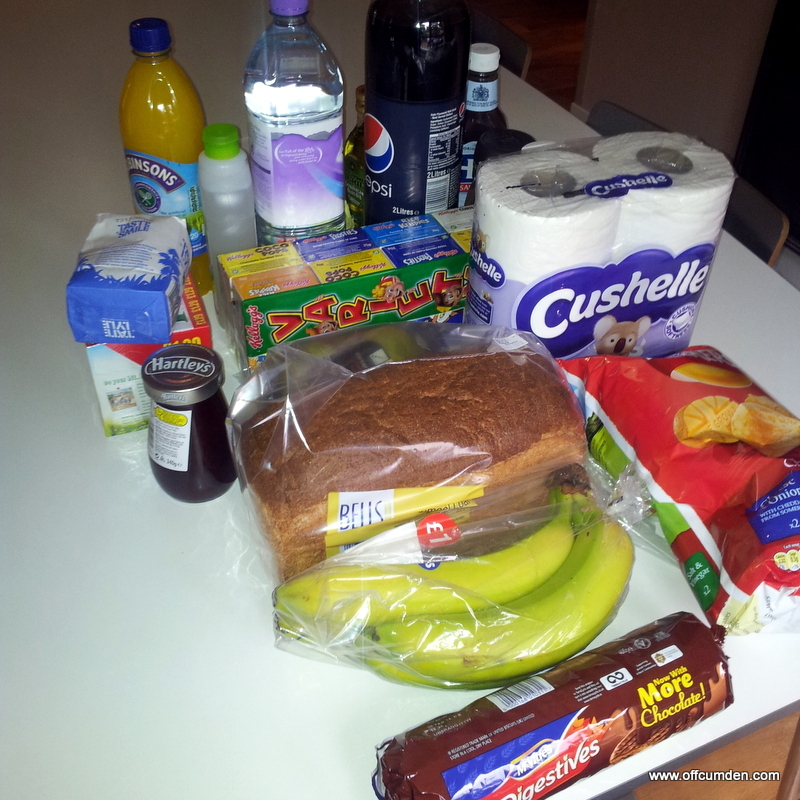 You are given a basic pack which contains one small soap, a sachet of washing up liquid and three dishwasher tablets. Unfortunately, we did not have any of the dishwasher tablets, but accommodation services soon had some brought out to us. The decor was a little tired and I also found that once you put the cot up, you are left with very little space in the bedrooms. However, the lodge was incredibly quiet, we didn't hear a peep from either of our neighbours, and the design meant that you couldn't even see other families when they were in their outside space. This was our lounge, and you can just see the outside barbecue area. There was a TV with a DVD player. Unfortunately Cbeebies wasn't working on our tv and we only had CBBC which was a bit too old for our children. Luckily we had brought some DVDs, for those moments when the children need to chill out, especially when they have been so busy every day! This is the main bathroom in the lodge and there was also a separate shower room and another separate toilet which was really useful with a lot of people in the house. We received a grocery pack on arrival, priced at £46. I thought they were incredibly good value for what was included. There was also milk, bacon, sausages, eggs, orange juice, butter, apples and olive oil. It was really nice not to worry about taking too much food with us. Also, you can obviously bring your leftover pack home with you - our kitchen is now well stocked! The key for your lodge is a wristband which you simply place on the door of your lodge and then you can open it. The wristbands also work in the changing rooms of the subtropical swimming paradise, which is incredibly useful! It is so simple and saves faffing around with keys and change. The subtropical swimming paradise was fabulous. We went at least once a day, but usually twice. The boy was just big enough for the flumes and surprised all of us with his fearlessness! The girl loved the big slides and was devastated when we had to get her out of the pool each time. On the first night the pool was pretty much empty which meant that I got a chance to have a good look around. Unfortunately I was on my own the first night and it was rather stressful looking after a two and a four year old by myself. They kept running to different slides in the baby pool area and I couldn't watch both slides at the same time. I made sure I had backup every other time we visited. There is so much to do in the pools that there was a lot which we didn't see. The outside pool looked like great fun but it was quite busy out there, so we stayed inside! The children both loved seeing us all flying down slides and hurtling into the water. We also realised that we need to take our daughter swimming more often! On our final day we expected that the pool would be very busy but were pleased to see that it was pretty empty at about 10.30am. We spent most of our last day in the pool! The adventure playground was also frequented on a regular basis. There was so much for all ages of children to do and both of ours enjoyed climbing, jumping and sliding. The playground was never very full, so was a great place to while away an hour. We went to the Parc Market a couple of times and it was pretty expensive. £1.99 for a loaf of bread, for example. However, it cost less than having to drive to the nearest supermarket. 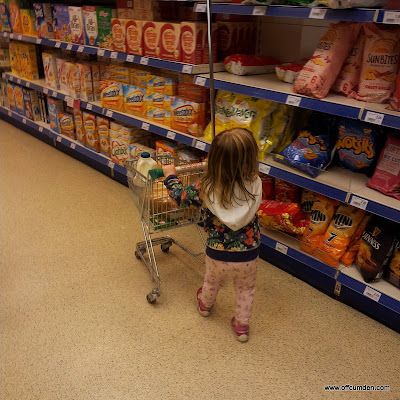 The range in the shop was fantastic and I was totally impressed with it. I also loved the tiny shopping trolleys and my daughter had a lot of fun haring around with hers, pausing briefly next to the crisps! The only other shop we went in was the toy shop. Again, the range there was fantastic and I thought the prices were competitive. The boy chose some Monsters University figures and the girl chose a George Pig from Peppa Pig. They came to just over £10 for both. I have never been anywhere where the staff all seem so happy to be working there. Everyone we spoke to was incredibly helpful. In the teddy bear making, the staff went out of their way to look after my son, who had just fallen on gravel outside and made a right mess of his legs. They cleaned him up, administered first aid and even gave him a party bag to try and make him feel better. Bless him, it was the first time he has really hurt himself and the staff really couldn't have done more to help him. We had a fabulous break. We slept well, ate well, drank well and exercised a lot. The children encountered so many new experiences and they loved the freedom there, and getting to see wildlife. I am pretty sure I have never seen a red squirrel before and they are so beautiful. Come back tomorrow for the second instalment, reviewing the activities and food on offer. 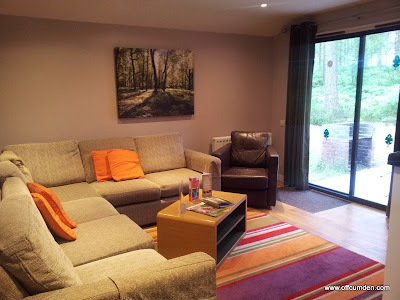 Disclosure - we received a trip to Center Parcs free of charge for the purpose of review. We were also supplied with bike hire, a grocery pack and certain activities. This had no impact on my review, which is honest and accurate.